Welcome to SJ Wedding Invitations. It’s been a great British summer and now that autumn has arrived we would like to celebrate with a great Autumn discount! Place any order with us before 15th November and receive a 10% discount on your order. 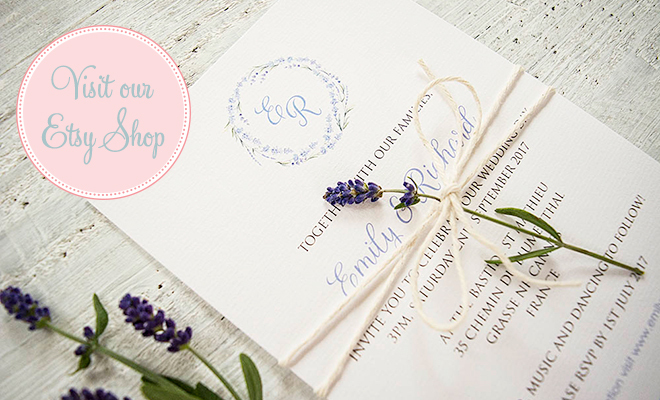 You can choose from a great range of invitations from contemporary chic and pocketfolds to vintage and traditional classics or an entirely bespoke design. 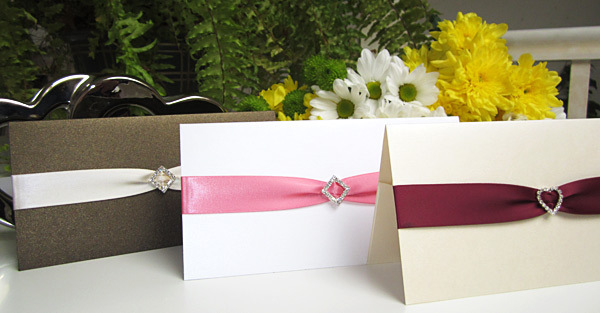 Browse some of our designs below or view more from our collection at our main invitation shop. The designs below are just some of the stationery ideas we have produced for clients. We can work with you to help you develop a bespoke design to reflect your own personality and wedding style. 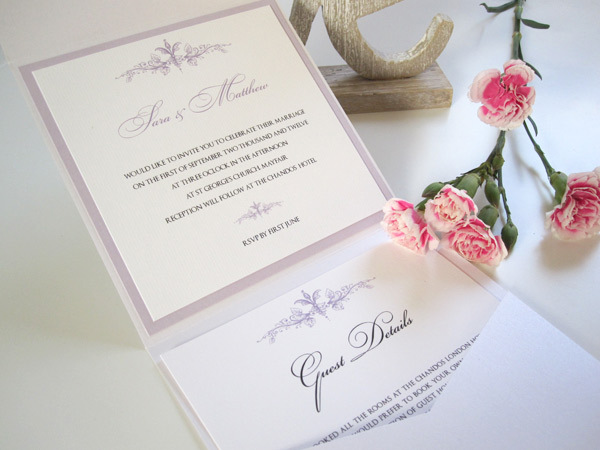 We are based in Maida Vale in West London but we can despatch samples and invitations across the UK and abroad. Vintage tandem – printed on kraft, ivory or white card with a mix of vintage typefaces. Every design is unique! Summer Fete – vintage shabby-chic with bunting. Perfect for a summer fete themed wedding! Knightsbridge pocketfold with large diamante snowflake – perfect for a winter wedding!